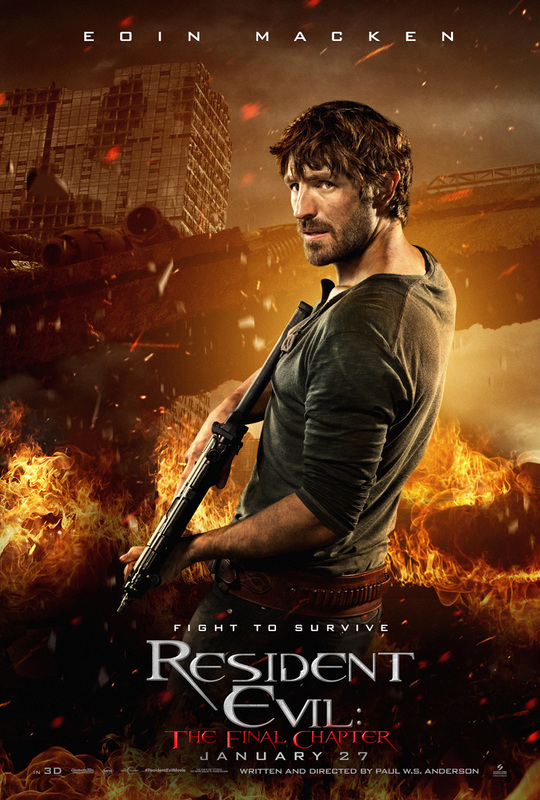 Today Sony Pictures’ Screen Gems announced that the sixth installment of the sci-fi, action horror film series, “Resident Evil,” has commenced principal photography in South Africa. Titled Resident Evil: The Final Chapter, this will be the final installment in the successful film franchise adaptation of Capcom’s hugely popular video game series, having grossed over $1 billion worldwide to date. Constantin Film will produce Resident Evil: The Final Chapter. Director Paul W.S. Anderson, who wrote the screenplay, will shoot the film on location in Johannesburg and Cape Town. Milla Jovovich will reprise her starring role as Alice. The Resident Evil: The Final Chapter cast also includes Ali Larter (“Heroes,” Resident Evil: Afterlife) as Claire Redfield, Iain Glen (“Game of Thrones,” Resident Evil: Extinction) in the role of Dr. Alexander Isaacs, Shawn Roberts (Edge of Darkness, Resident Evil: Afterlife) as Albert Wesker, Australian actress Ruby Rose (“Orange Is the New Black”) as Abigail, Eoin Macken (“The Night Shift”) as Doc, Cuban American actor William Levy as Christian, Fraser James (“Law & Order: UK”) as Michael, and Japanese model and TV personality, Rola, as Cobalt. Resident Evil: The Final Chapter is produced by Jeremy Bolt, Paul W.S. Anderson, Robert Kulzer and Samuel Hadida. Martin Moszkowicz (Constantin Film) is the executive producer together with Victor Hadida (Metropolitan Films). Production services in South Africa are rendered by producer Genevieve Hofmeyr (Moonlighting Filmmakers). The creative production team includes Director of Photography, Glen MacPherson; Production Designer, Edward Thomas; Costume Designer, Reza Levy; Visual Effects Supervisor, Dennis Berardi and Editor, Doobie White.